Cristiano Ronaldo has been at the pinnacle of football for over a decade now. The 33-year-old has done it all with Manchester United and Real Madrid, with Ronaldo now looking to enjoy more success at Juventus - he's made a pretty good start in Turin. When it comes to the topic of the greatest footballer of all time, the Portuguese superstar will always come into contention. Due to his brilliance, there's always been one question; who will be the next Ronaldo? Well, here's 11 players - one for each year - who have been spoken about as the next Ronaldo and what has happened to them since. Not exactly a household name. The Daily Mail labelled the 16-year-old Real Madrid as the 'new Ronaldo', suggesting he was the brightest spark to emerge from Portuguese football in some years. Sadly, the Brazilian didn't make the cut at the Bernabeu and he's now in Brazil's second-tier with Fortaleza, with just 14 senior goals to his name. Oh what hope United had for the Italian striker, especially after hearing what his Lazio youth coach, Volfango Patarca, said about his ability. But it didn't work out, with United loaning him out to five clubs before his 2012 exit. He's now in Greece with Panathinaikos. The Daily Mail labelled the exciting winger the 'new Ronaldo' after Tottenham registered interest in him back in 2010 - the Portuguese media were also hyping him up. Now 24, Bruma is with RB Leipzig in the Bundesliga and has seven Portugal caps to his name, scoring one goal in the process. While the Argentine was starring for River Plate, Goal were quick to declare that the winger was eerily reminiscent of a young Ronaldo. He's now at Marseille where he's beginning to find his feet in European football, but the Ronaldo comparisons are nowhere to be seen anymore. Remember him? The languid playmaker who turned out for Southampton, Middlesbrough and Hull? Well, his former teammate Jose Fonte praised Ramirez to the rafters when discussing Ronaldo. He said, per Daily Mail. "Ability-wise he's [Ramirez] up there with the best I must say. His technique, creativity and vision of the game and understanding are better than everyone else in the team at the moment." Ramirez is now in Italy with Sampdoria and his career has ever really taken off. When the Independent linked Arsenal with an exciting 18-year-old winger from Real Betis, the famous 'new Ronaldo' phrase came out once again. He made his La Liga debut at just 16, but it never really worked out for Vadillo and he's now in Spain's second-tier with Granada. While on-loan at Cardiff, Ole Gunnar Solskjaer said, per FourFourTwo: "He is one of the best I have seen with the ball. He has quick feet and is brave like Cristiano and wants to go forward." Four years later and Zaha is certainly showcasing a lot of his enormous talent with Crystal Palace, one of the few success stories on the list. A huge star in Benfica's youth sides, the winger quickly received the Ronaldo label as PSG beat United to his signature, per Goal. Now at Valencia, Guedes is a regular for Portugal but the jury is out on whether he can fulfil his enormous potential - his end product in particular needs some work. Louis Saha said back in 2016, per IBTimes: "I hope Martial can emulate what Ronaldo did at United." In the years since Martial has shown glimpses of his Ronaldo-esque talent at United, but there's still a lot of work to be done for the Frenchman. Wolves' diminutive winger was once tipped to reach the heights of his countryman. Jota has scored twice in his last two Premier League games for Wolves but has a long way to go to hit Ronaldo's heights. 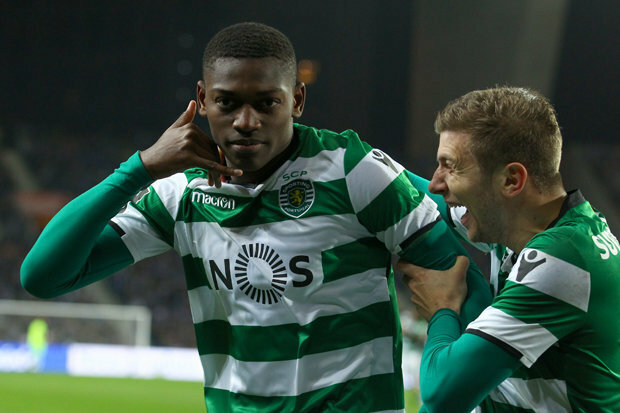 When The Sun reported Manchester City's interest in the 19-year-old Sporting Lisbon midfielder, the Ronaldo comparison was made. Leao instead made the move to Lille, where his career is just getting started. Can he be the one to actually be the new Ronaldo in 10 years time?